Julius J. E. Thompson grew up in the Bedford-Stuyvesant section of Brooklyn, New York and attended Bushwick High School. The sixties in Brooklyn was an era that had a personality, a feel, and a life-force that changed a generation. Mr. Thompson felt this energy and experienced these fires of social change. J.E Thompson is a superb writer. 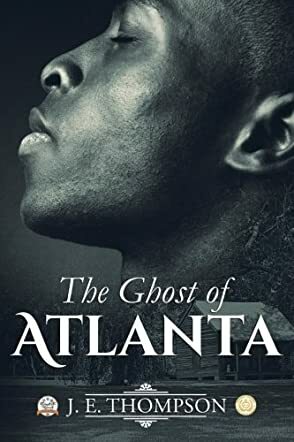 "The Ghost of Atlanta" is, overall, a superbly written book. This novel is the third in a series. The book is a very fast read that builds up slowly and has a fantastic ending. Mr. Thompson has included all the ingredients that make for a well-written novel: great character descriptions, an exciting well-thought-out plot, edge-of-your-seat adventure with all the proper descriptives (old love and love rekindled, friendships-new and old, hate-the kind that festers, murder-brutal and heartless, drugs-of the worst kind, family ties-both good and bad, etc.). Only Andy can, and must, have the courage to face his ghosts, one-on-one. He has many friends and family that help him along the way, and those that would like to see him fail miserably. Can he defeat his ghosts and continue on with his life? I will not spoil the book for you but I will say that the story is full of excitement and is really very ethereal. The reason I say that is because the characters themselves present the reader with many questions, such as, How can Andy`s friend, Philip, always be there for him just at the right time? How is it that certain characters are praying for Andy just at the right moment? How can a family cousin appear to Andy in the blink of an eye and then disappear just as quickly? How can friends and family in Philadelphia, Brooklyn, and Atlanta be so in tune with each other, helping Andy when he needs it the most? All these ingredients make this novel taste like your favorite pie flavor. All these ingredients make you want to continue reading this novel in just one sitting. I now have a very strong desire to read J.E Thompson's first two novels in the series. I can hardly wait for the next one. J.E Thompson, please keep writing. To the reader, don't hesitate to read this, you will not be disappointed. I am very glad that I read this book and I rate this book 5 stars, wholeheartedly.